The Penn Wharton China Center Book Talk Series launched in Fall 2018 as a partnership between The Penn Wharton China Center and Wharton Digital Press. The series brings thought-leading book authors to a Chinese audience to facilitate an ongoing exchange of ideas in our increasingly interconnected global environment. The Penn Wharton China Center Book Talk Series inaugural event was held on November 28, 2018, featuring Wharton Professors Peter Cappelli, Harbir Singh, and Michael Useem, discussing their book with Liang Neng, Fortune Makers: The Leaders Creating China’s Great Global Companies. On December 10, 2018, Prof. Barbara E. Kahn delivered a talk on The Shopping Revolution： How Successful Retailers Win Customers in an Era of Endless Disruption. She explained the framework that any retail company can use to create a competitive strategy to survive and thrive. We welcome the participation of Penn and Wharton alumni, friends, managers and executives interested in company leadership and its development, publishers, and the general public. 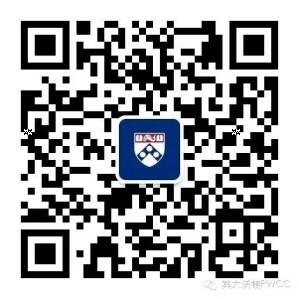 For more information and to register for any upcoming events, please visit https://pwcc.upenn.edu/en/events/.